Quick update of my life: I’m graduating in May. This is great. But, I’m also stressed and feel overwhelmed. I’m in the middle of a master’s thesis that I really need to wrap up soon. There’s a lot of pressure. Outside of this, life goes on.¹ I really shouldn’t be blogging about perfume. But, then again, how much time can you reserve for work? I need a break. Oddly enough, writing about perfume is my break. During this time, I’ve been finding myself gravitating towards “comfort” scents. These are perfumes Comme des Garçons x Artek Standard is one of these calming, comfort scents for me. We all know that CdG does a lot of collabs. Dover Street Market is a space dedicated to collabs. With the perfumes, it’s been collabs with people like Daphne Guinness to Pharrell Williams. There’s been collabs with the Andy Warhol Estate, hat makers and even furniture brands. Artek is a Finnish furniture company probably best known for their iconic stacking stools (Ikea knocks them off). Anyway, before sniffing this, I wanted it to be a woodsy fragrance. It is. Standard opens like iced ginger tea with lemon. It has a hint of fresh garden herbs. Most of this perfume is cedar. Usually I’m not a fan of obvious cedar in perfumes. But, something about Standard works. Instead of being like a slab of lumber, it’s more like a steamy cedar bath. To me, this perfume has always reminded me of a hinoki ofuro. There’s cumin in this that comes across as sweat. Not like a dirty sweat, but that sort of sweat that would happen if you were submerged into a hot Japanese bath. Most of the wear of this perfume is like “cedar steam”. The background has a bit of a sheer sweet/spicy “saffron and steamed milk” thing going on that vaguely reminds me of perfumes like L’Artisan Safran Troublant. There’s also a musk that adds an atmospheric quality. It makes me think of cool air steaming off of an outdoor onsen. I don’t like many cedar perfumes because they come across too “lumberjack” or astringent for my tastes. However, Standard wears like steam, almost like being in a sauna (herbs, warmth, woods, sweat). It also feels modern – on a par with the CdG aesthetic and other perfumes from the brand. This perfume is frequently compared to their collab with Monocle, Hinoki. I like Hinoki but it’s a bit too sharp/astringent for me. Standard is softer, lighter and something I feel more comfortable wearing. Give Standard a try if you like cedar or aromatic woods fragrance. Or fragrances like Comme de Garcons Hinoki, Aesop Hwyl, A Lab on Fire Liquidnight, aroma M Geisha Vanilla Hinoki and/or Maison Louis Marie No. 02 Le Long Fond. On me, there’s cumin. But, I love it. If you’re sensitive to that note, you may not like Standard as much as I do. Projection and longevity are below average…but this is an EDT. I feel like I have to reapply it every 3 hours. But, I’m also suspicious that I’m anosmic to some musks in this. Why? I wear it and forget about it but somebody says I smell good. Go figure. The 1.7 oz bottle retails for $115 at Twisted Lily. Samples are also available for purchase. Victoria’s Final EauPINION – Ofuro/cedar bath. It’s like herbs, cedar, steam and sweat. For some reason, I find this really relaxing. ¹I want to clarify that nothing too serious is going on. I’m healthy, I’m happy, etc. Moxi, our ancient pug-like thing, has cancer (she’s 14 years old). That’s been expensive and time consuming. My spouse has been promoted and is always gone. You know, just those normal life changes, but still, changes. *Sample obtained by me. Product pic from the brand. 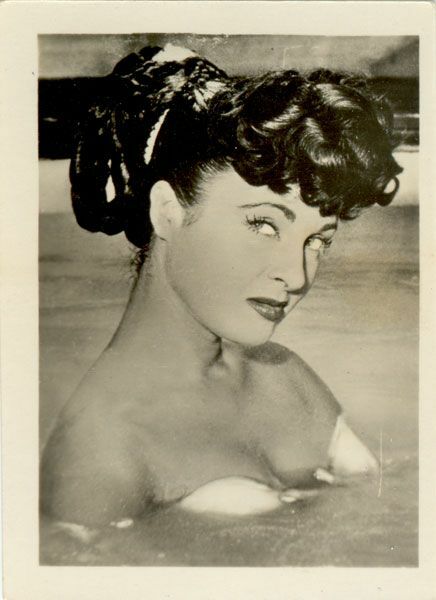 Silvana Pampanini circa 1951 in O.K. Nerone pic from allposters.ie. Nordstrom contains an affiliate link. Thanks! Just did a double take at the note list: Finnish labrador tea?! And I thought they were a civilised country…….j/k, but I had to google it. Cruel and unusual ingredients aside, this sounds right up my alley. Big congratulations on your upcoming graduation! Do you have any perfumed rewards in mind for yourself, ’cause you should do? Right?! I had to go straight to Google (and why I put the “wild rosemary”, lol). I felt very uncultured and bad for assuming it was dog tea, lol. I really like this one and need a bottle for the upcoming summer. It sounds like it could be “heavy”, but it’s not. Despite not being overly “clean”, it’s refreshing…I guess it’s that bath aspect I get from it.